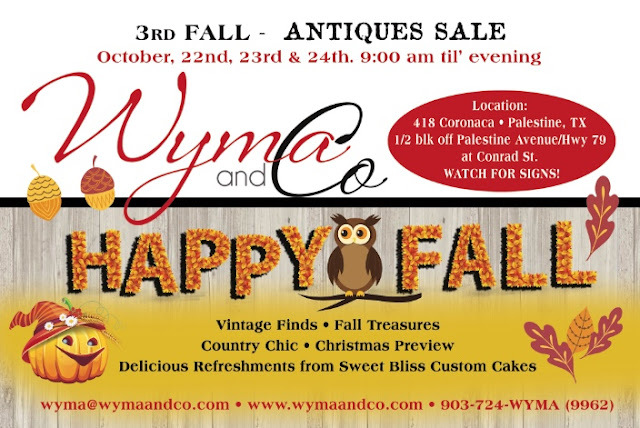 The 3rd Fall Antique Sale at Wyma and Company is upon us, and just in time for the season. The days are getting shorter and the nights are getting cooler...Finally! We've been to Round Top and picked barns and sales all over East Texas since the last time we opened the doors. We can't wait to show you what we've done with house this time!